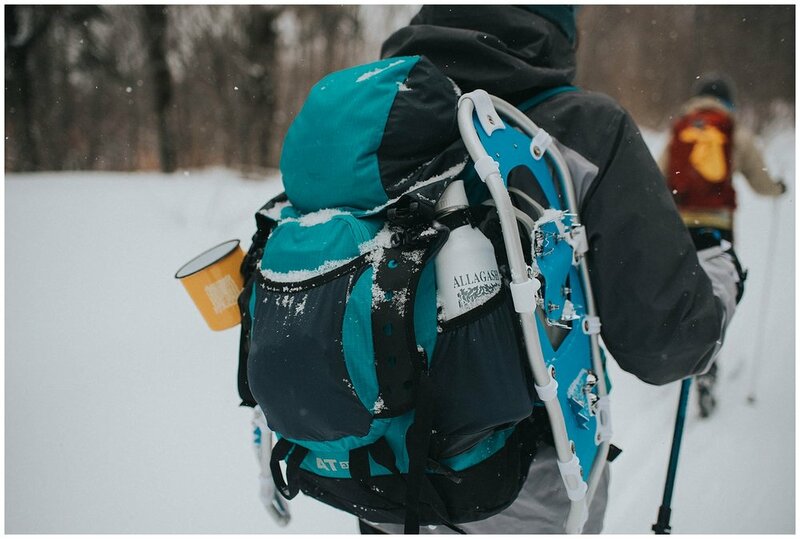 Thanks to our generous sponsors, Allagash Brewing and the Appalachian Mountain Club, we took a group of 18 women to the Gorman Chairback Lodge in 100 Mile Wilderness in Northern Maine for some hiking, snowshoeing, and cross-country skiing. 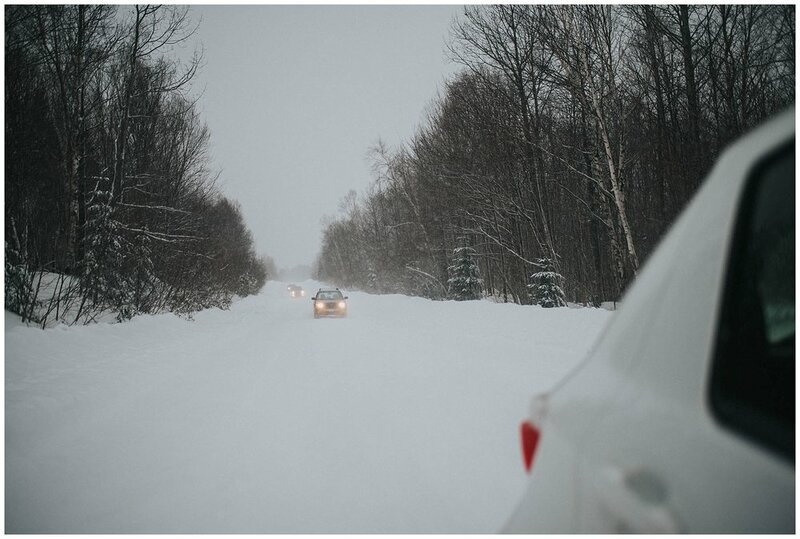 Our journey began early Friday morning at 4:45AM when we met at Allagash to carpool. 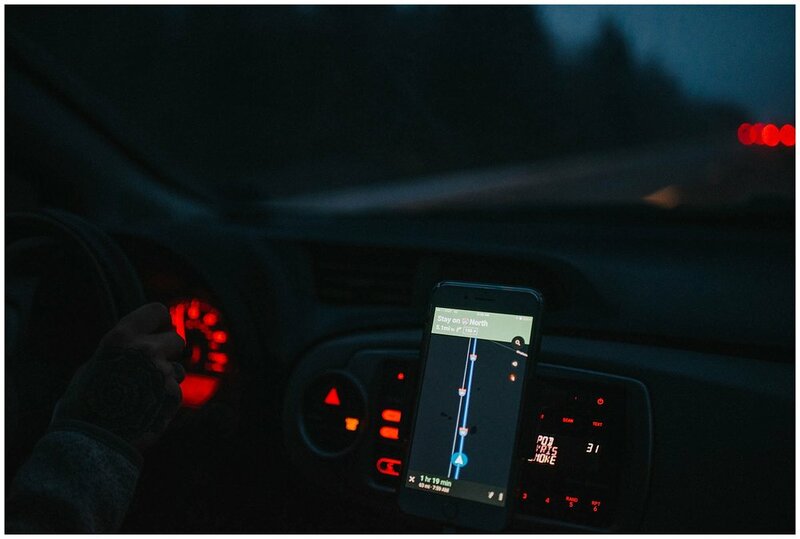 By 5:00AM we were on the road to Greenville, Maine! 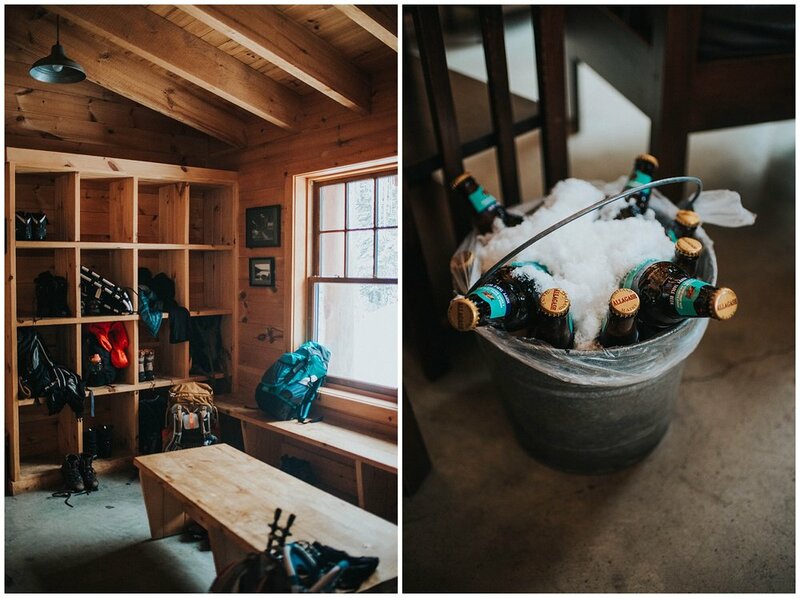 After arriving at the snowy parking lot, we put on our winter gear and loaded up a snowmobile with the necessities (lots of Allagash beer!) AMC caretakers Greg and Brent welcomed us in the parking lot, and shared our enthusiasm for the day. They sent us off with the promise of a great trek ahead. 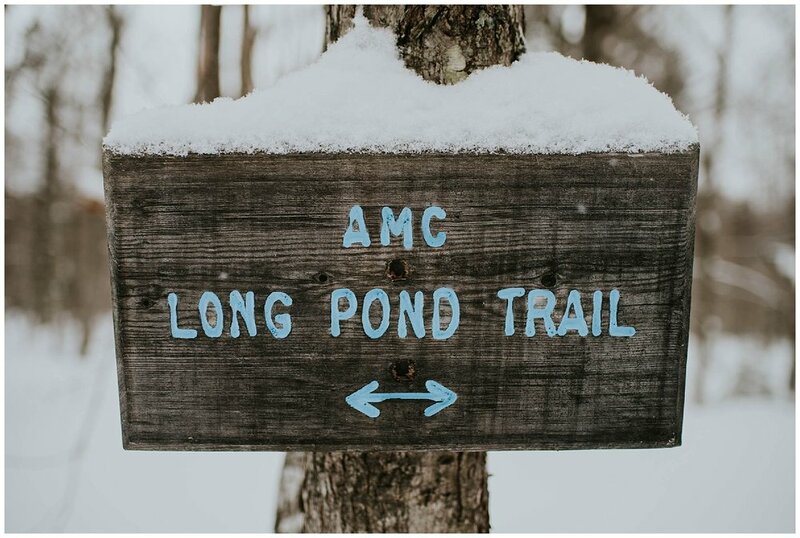 We snowshoed, hiked and skied into the pristine wilderness where we shared a collective excitement for the day while the 8.3 miles seemed to zoom by. 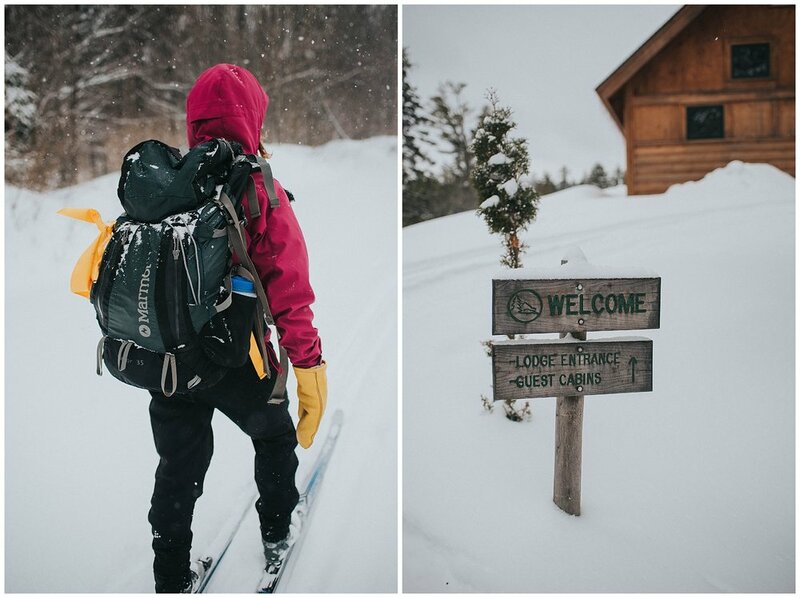 The smell of smoke from each cabin's wood stove notified us that we were getting close to the Gorman Chairback Lodge. As we turned around one last bend, the chimney smoke came into sight. We made it! The friendly caretakers at the lodge welcomed us with a cozy fire, coffee and tea. We dropped our frozen gear into the two rooms of cubbies, where the heat from the nearby sauna helped dry them. 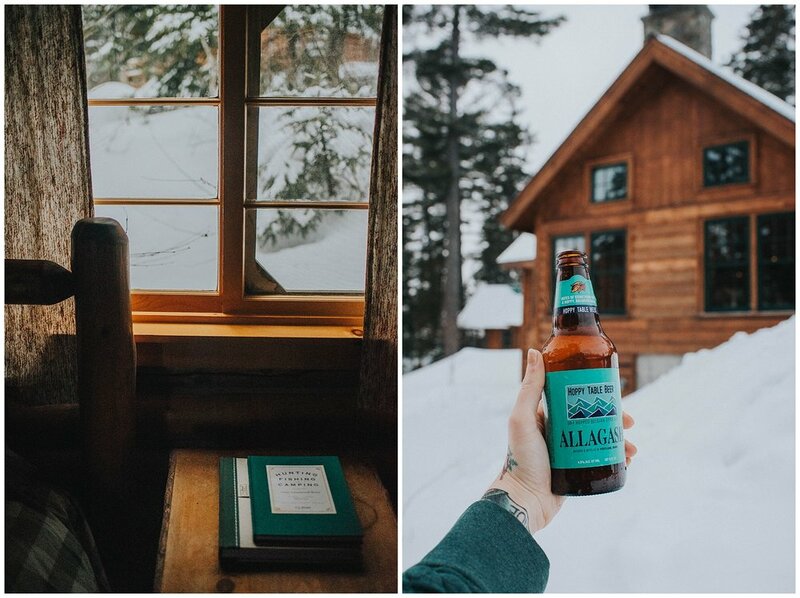 We cracked into the cold Allagash beer awaiting our arrival in a bucket full of snow. 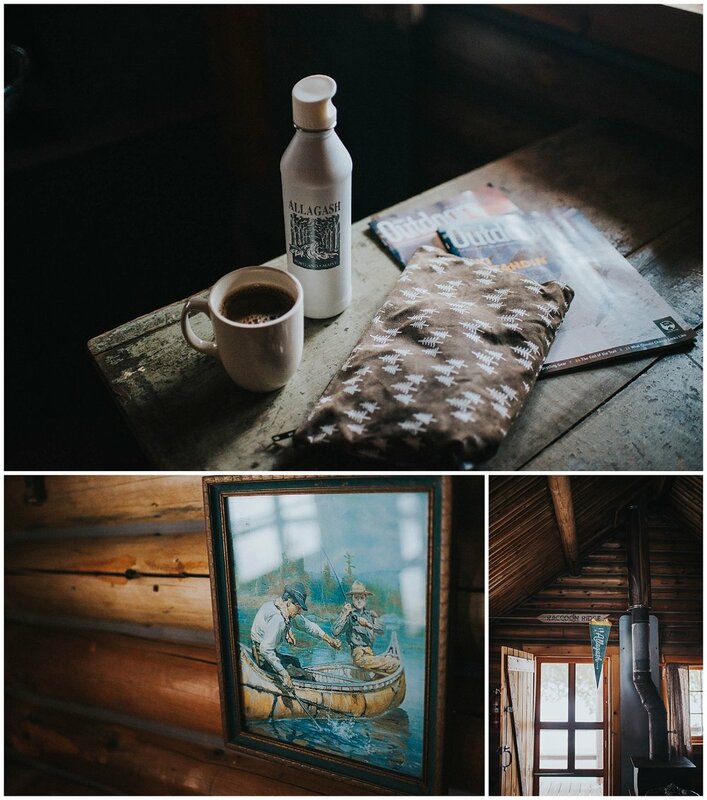 After warming up at the lodge, we unpacked into our cozy cabins. Each had a hot wood stove fire awaiting our arrivals, and flannel-lined beds illuminated by gas lamps. After jumping into some comfy camp clothes, we all gathered back in the main lodge. Two of our own AWC members are yoga instructors, so Kelly and Melinda lead us through some much-appreciated stretches. The basement of the lodge is the perfect place to hang out, play games, and get those stretches in. At 6:00PM we headed upstairs for dinner. The chefs had prepared a delicious dinner of homemade bread, a fresh salad, wild rice, grilled asparagus, fish and even tofu for the vegetarians! 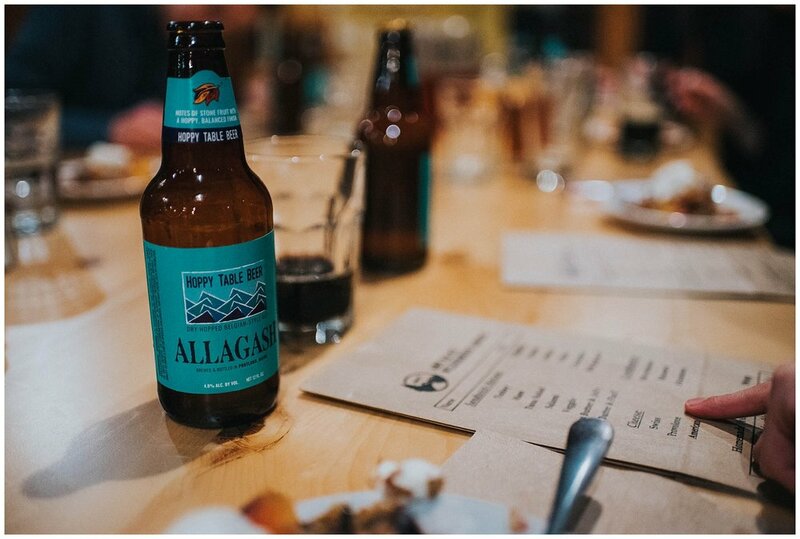 After our meal, Mat from Allagash spoiled us with some special limited edition brews including Cureuix, Pick Your Own, and St. Klippenstein. The rest of our evening was consumed by laughter, a campfire and some ladies even enjoyed the hot stone sauna. 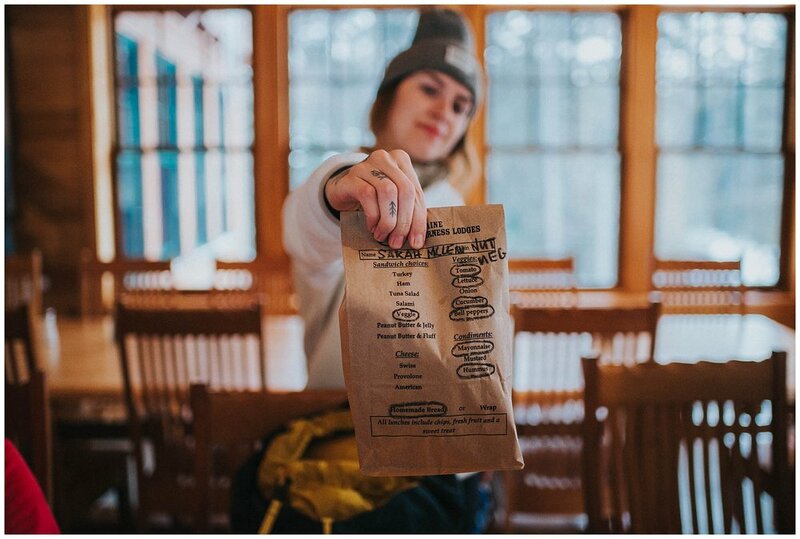 After a solid night's sleep, we all ate breakfast at the lodge, grabbed our bagged lunches, bandaged yesterday's blisters and filled our water bottles before embarking our journey back to reality. Our hike back was filled with laughter and reminiscing the previous day's memories. As we neared the last mile, we all joked that we should slow down. We really didn't want this trip to end. 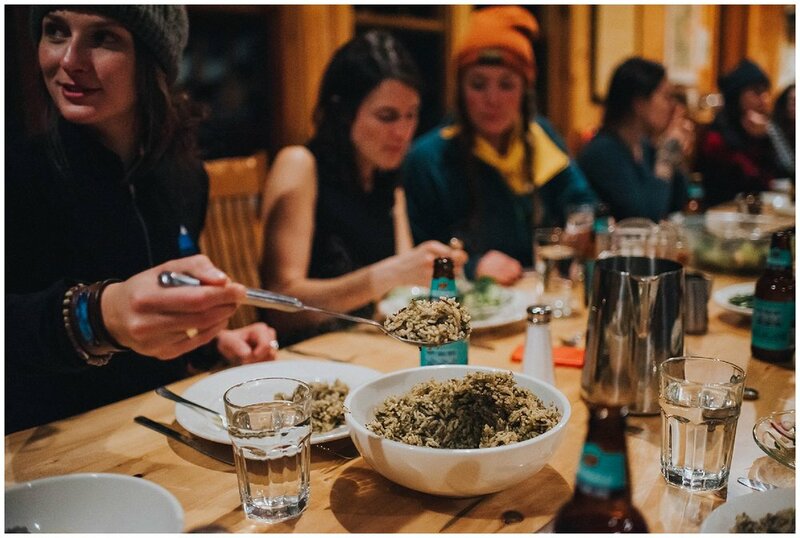 We'd like to thank the kind folks at Allagash Brewing Company who generously sponsored this trip and made it possible for the Alpine Women Collective. Mat, Abby and Heather, we were so lucky to have you along with us! Thank you for making this trip so special. 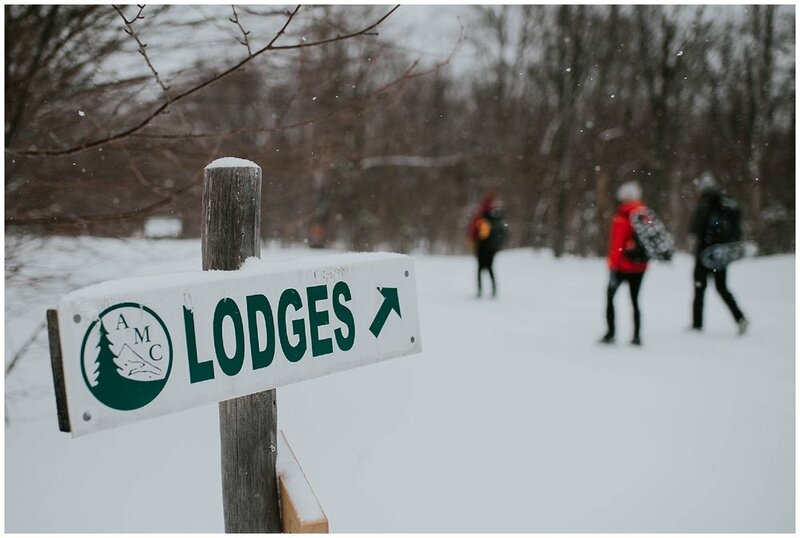 To the folks at the Appalachian Mountain Club and the caretakers at the Gorman Chairback Lodge: thank you for your hospitality. You made our stay so easy, and we enjoyed every minute. Your kindness and attention to detail is unparalleled. We will be back! Last, but certainly not least, thank you to the 18 women who joined us on this adventure. 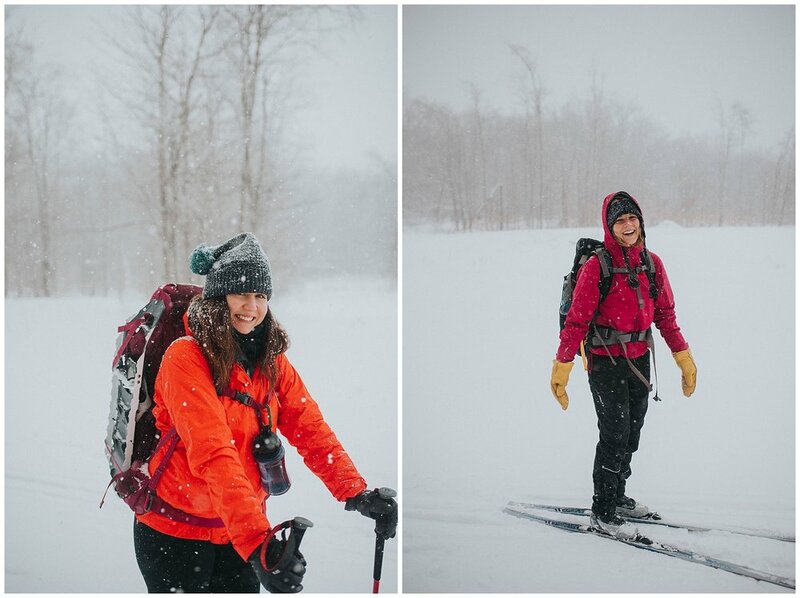 Thank you for sharing the excitement and passion we have for the outdoors. Thank you for cheering each other on and being a constant support system. You are our inspiration!